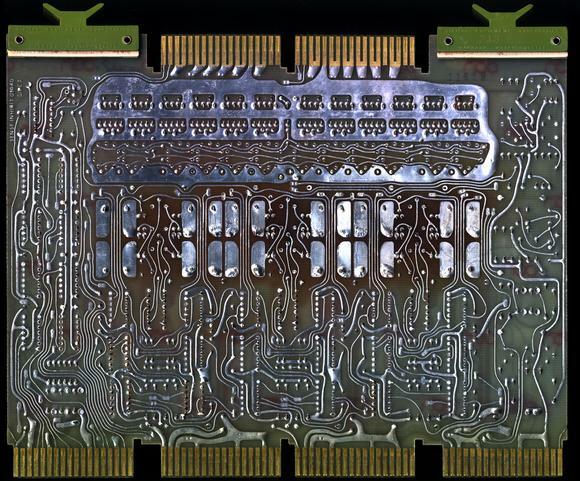 This is the back of the G104D sense inhibit board from the MM8-E 4kx12 core memory option. In the center of the board you can see that the board has been discolored somewhat from the heat of the power resistors on the front ( 80K) of the board. Not all the G104 boards in the machine have the discoloration so it may have had poor airflow at some point or been moved from a different machine.